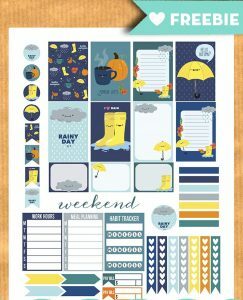 About 2 weeks ago I shared a Fall/Thanksgiving weekly stickers set with you. 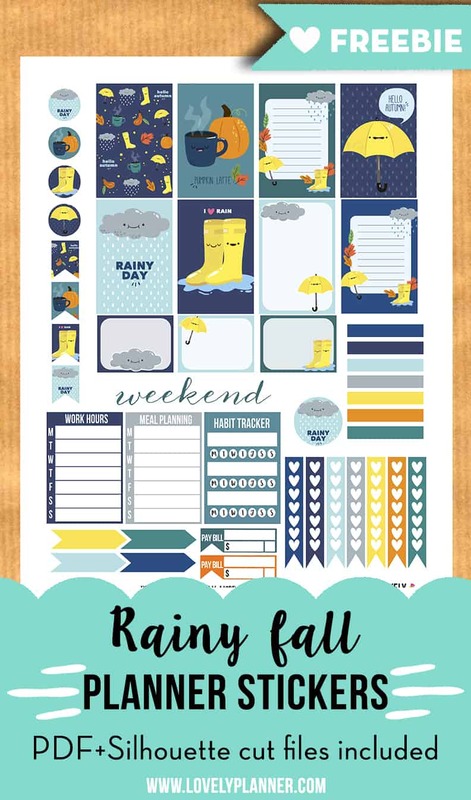 I had fun creating it and using it in my planner, so I now have a new one to share with you: rainy fall weekly kit! As often with my printables, it’s filled with cute faces! 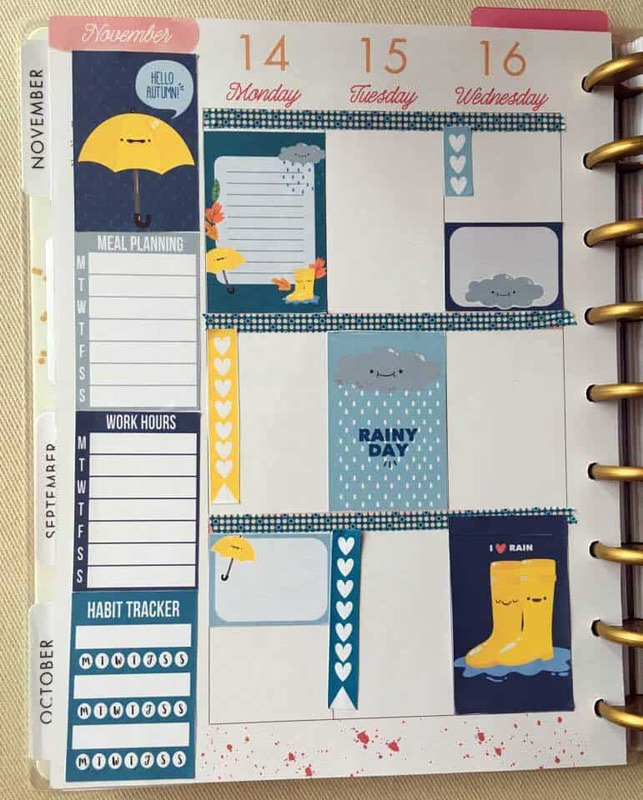 This printable full set of stickers will nicely fill a whole week in your Happy Planner or Erin Condren planner. 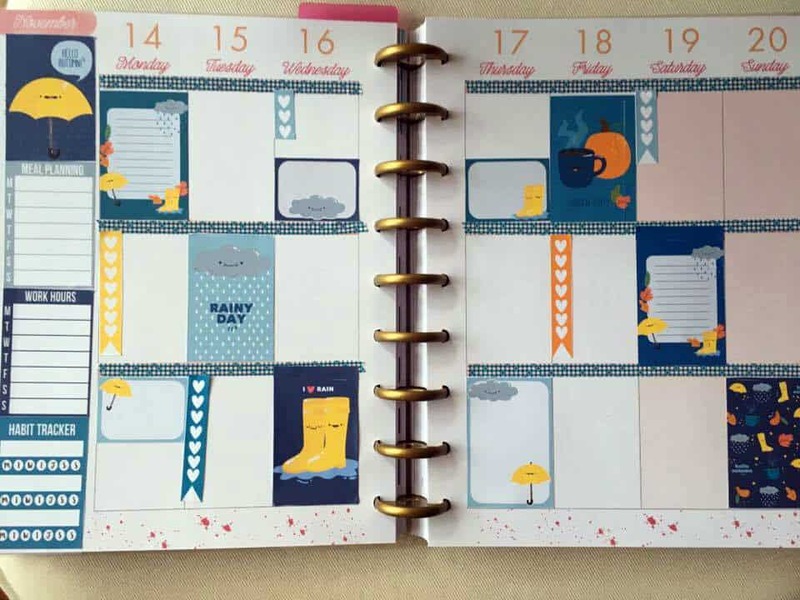 If you use a different type of planner, fear not, these stickers can easily be used on different planner types. The main alteration you’ll probably have to make will be regarding the full boxes, if they’re too big, just cut them a little bit et voilà! 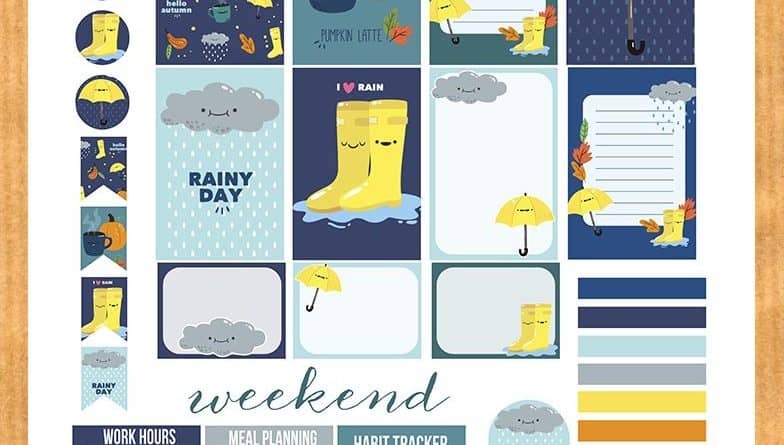 The plus side is that this stickers sheet will probably last you for longer than a week if you use it in a smaller planner! I use the settings blade 2, speed 10 and thickness 18 to kiss cut the characters (red line in the file), but the settings may vary depending on your sticker paper, so make sure to run the test cut before cutting your whole page. My pleasure 🙂 I just checked out your blog, your cards are so cute! Such good stamping skills! thank you its so cute!! These are so cute! You combined my favorite things into one sticker pack. Thank you so much for making me smile today. You’re welcome! I understand, and I’m happy that my little stickers could bring you a little ray of sunshine today! Thank you for your sweet words.